If you read my Ibiza Series until now you would know that while I usually look for places to eat for my trips this trip had no research done on this matter. Many would think that by searching and looking for places before reaching a place would take out of the fun or spontaneity but this is one point I can’t agree on with them. For years, as a young traveler, without much access to internet, Trip Advisor and travel blogs I did just that. Went somewhere, saw a place and took my chances. And while some places were ok, some good, I have stumbled upon quite a few places I’d rather forget. And when I say this I’m including here bad food, awful service, filth, huge bills, etc. And while it may seem absurd now, when you read these lines in front of your pc or your phone, ending up with a bill of 60-80 or even 100 EUR and eating a bad meal can sure lower your holiday mood. As I said before all my meals in Ibiza up to this point had been decent so I didn’t have much expectations from this place either. I thought it would be just another normal restaurant with clean, decent food, maybe a bit overpriced due to how the terrace was looking. So I was in a big surprise when I tasted the food. 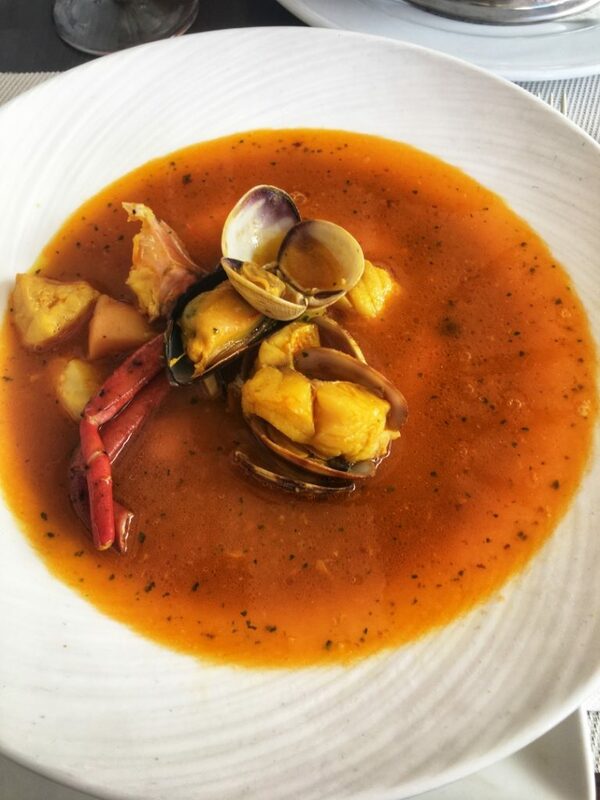 La Caracola restaurant, situated at Plaça sa Tertúlia, 7, is hands down the best restaurant from all the places I tried on the island. As almost all the other places, this one is also situated in the harbor on the small back streets but not far from the water. Before diving in the DC10 madness that night I chose this place for the last restaurant meal of our holiday, both my friend and I being a bit tired after the crazy parties held on the island. I ordered the fish soup and to my luck the paella with black rice. I have seen this paella in quite a few places and I always thought of ordering it only to pick something else in the end so I decided to try it here. And I can honestly say that this had been one of the best food choices ever. If you read my review of Osteria Al Diavolo E Acquasanta you would know how much I loved their risotto al sepia nera. This place, La Caracola, delivered the ultimate unexpected surprise, and served me one of the most memorable dishes I have ever eaten in my travels. The texture, the taste, the huge size of the dish. All combined for an unforgettable experience. You can ignore the picture since it is not representative but you cannot ignore how good this thing tasted. Yes, the fish soup was very good. It was a combination of fish and seafood I haven’t tasted before and it was great. I’m used to different fish being added into the soup and to a more clear type kind of soup but this soup was simply great. But the real kick of the meal was the paella. While I’m not a big fan of regular paella here I can honestly say I have gulped down the entire thing. And it is not small by any standards. The sauce is thick and delicious, plenty of seafood inside, mixed with the rice it really needed nothing else. As a big sized man I can honestly admit that the soup plus the paella is a bit much. Two people can share the paella and be satisfied with it due to how thick and full the dish is. This place, for me, was a great surprise. I haven’t expected to eat so good and never in my mind upon booking Ibiza was there something else than “Party Party Party”. Of course my experience is limited to only what I have tested but I can honestly say that this place deserves a visit just for the paella. For this kind of paella. The staff is great, very polite and added a plus to the already great meal experience. The Sangria Cava. While decent and above all places where I tried it before on the island is still far from what I consider a great sangria. This is not a budget friendly place. 2 soups, 2 mains and one sangria took us back 100 EUR. While I can’t say bad things about the food and service I realize that 50 EUR/person for a meal is overkill for many people. As a side note I must also add that I think the prices on the menu don’t include VAT so you may look at a soup and think it is only 15 EUR but when the bill comes you will see it is more than that due to VAT. At least this is what I remember now upon writing this article. 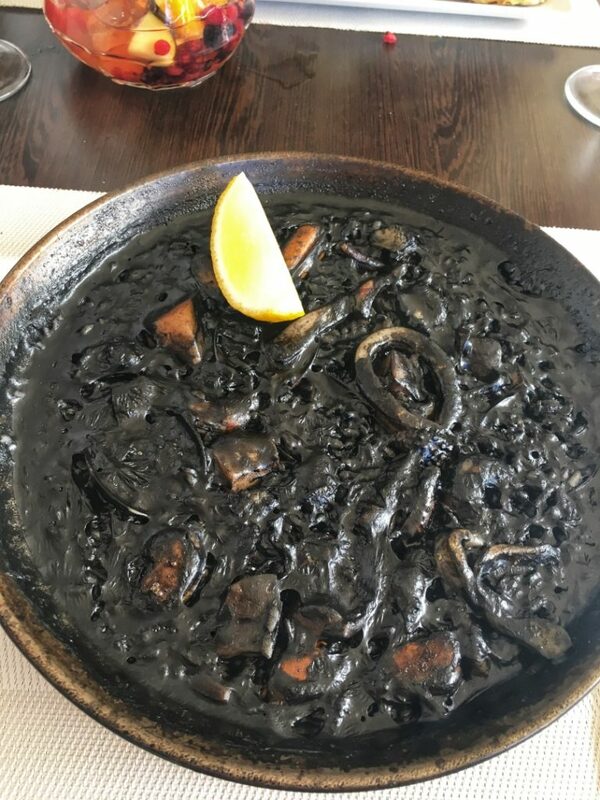 In the end all I can say is that while the price will sure turn many people away from this place it would be a shame not to try this incredible dish, the paella with black rice, at least one time.